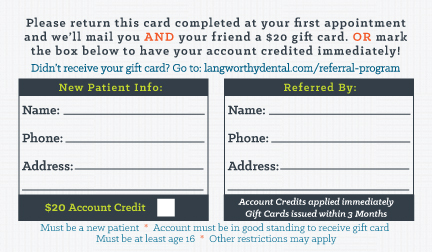 If you were referred here by a patient or our practice fill out the form below and we'll make sure you AND the person who referred you get a $20 gift card in the mail! 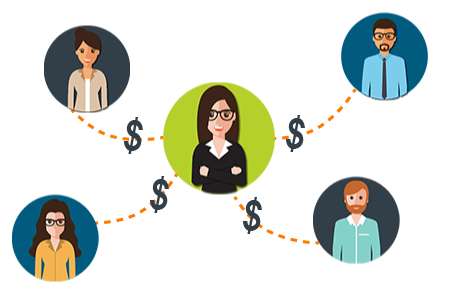 OR, you can choose to have your account credited with $20 immediately. Gift cards will generally be issued within 3 months of your first appointment. Please specify your preference on the form below. If you have already filled this form out, please scroll down to the "Didn't Receive Gift Card" section and submit that form instead! Please do not fill this form out if you have already completed the referral section on your New Patient Form. Didn't Receive Your Gift Card? If you would like to be contacted about not receiving your gift card, please fill out the form below and we will contact you as soon as possible.